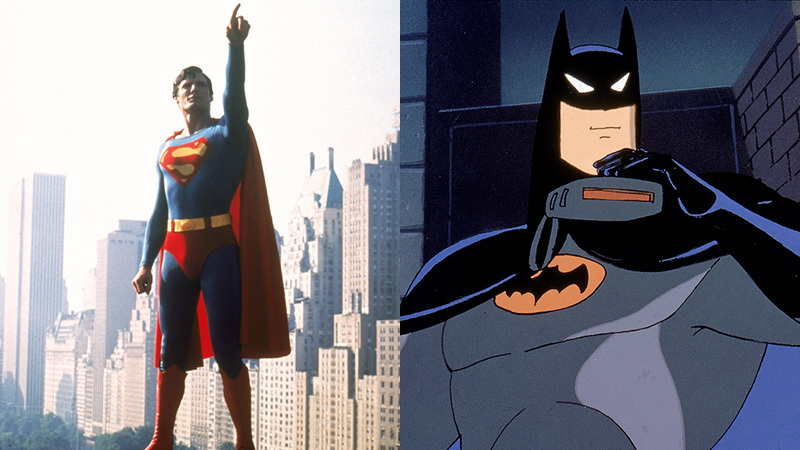 Two of the most iconic DC Super Heroes in pop-culture history are coming back to the big screen this November as each celebrates a milestone cinematic anniversary with special presentations by Fathom Events, Warner Bros. and DC. Richard Donner’s legendary 1978 Superman will play on Sunday, November 25, and Tuesday, November 27, at 2:00 p.m. and 7:00 p.m. (local time). The revolutionary Batman animated adventure Batman: Mask of the Phantasm returns to movie theaters for only one night on Monday, November 12, playing at 2:00 p.m. and 7:00 p.m. (local times). Tickets for both of these special presentations — which will play in more than 500 movie theaters nationwide — are available now and can be purchased online at www.FathomEvents.com or at participating theater box offices. To celebrate the 40th anniversary of the landmark film and the 80th anniversary of the beloved DC character created by Jerry Siegel and Joe Schuster, Fathom Events will present Superman in its original theatrical version, as audiences saw it upon its initial release in December 1978. A box-office sensation, Superman broke industry records and went on to gross more than $300 million worldwide, leading to three direct sequels — and helping introduce the world to the enormous possibility of comic-book film adaptations. Christopher Reeve stars as Superman and Clark Kent, leading an incomparable cast that includes Margot Kidder as Lois Lane, Gene Hackman as villainous Lex Luthor, Marlon Brando and Susannah York as Superman’s parents Jor-El and Lara; Ned Beatty and Valerie Perrine as Luthor’s sidekicks Otis and Miss Tessmacher; Jackie Cooper as Perry White; Glenn Ford and Phyllis Thaxter as George and Martha Kent; and Jeff East as teenaged Clark Kent. Superman was written by Mario Puzo, David Newman, Leslie Newman and Robert Benton from a story by Mario Puzo. Accompanying Superman will be a cinematic rarity: Max Fleischer’s animated Superman short Mechanical Monsters, presented in movie theaters for the first time since its original release in 1941. The 10-minute, Technicolor cartoon is one of 17 animated shorts produced in the 1940s that were based on DC’s legendary hero. Since its first appearance in 1993, Batman: Mask of the Phantasm has become a favorite of fans and critics alike. Batman: Mask of the Phantasm will thrill fans 25 years after its initial release with its tale of the Dark Knight and his mission to clear his own name after vicious mob bosses are found murdered — with all fingers pointing toward Batman as the criminal. Told in a bold, memorable animated style, Batman: Mask of the Phantasm stars the voices of Kevin Conroy as Batman, Stacy Keach as Phantasm, Efrem Zimbalist Jr. as Alfred, Dana Delaney as Andrea Beaumont, and Mark Hamill as The Joker. Batman: Mask of the Phantasm — directed by Eric Radomski and Bruce W. Timm from a screenplay by Alan Burnett, Paul Dini, Martin Pasko, and Michael Reaves — will be presented with the hilarious 2010 Looney Tunes animated short Rabid Rider, starring Wile E. Coyote and the Road Runner.